Loft living in the Hollywood Hills in this adorable California artist's retreat. Floor to ceiling windows and skylights create a wonderful sense of light and space in the living room, accentuated by oversized French doors leading out to a private wrap around patio. 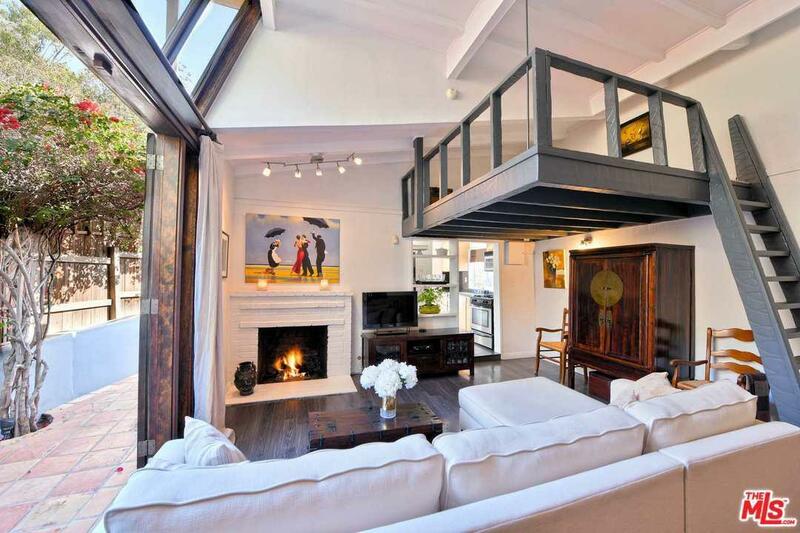 The large master bedroom is airy and bright and the loft bed is a marvelously tranquil space. With a fireplace and hardwood floors and the stars visible from the sofa at night, this cozy and romantic condo-alternative makes a perfect Hollywood Dell pied-a-terre: just minutes from all that vibrant new Hollywood has to offer, yet a tranquil retreat from it all.